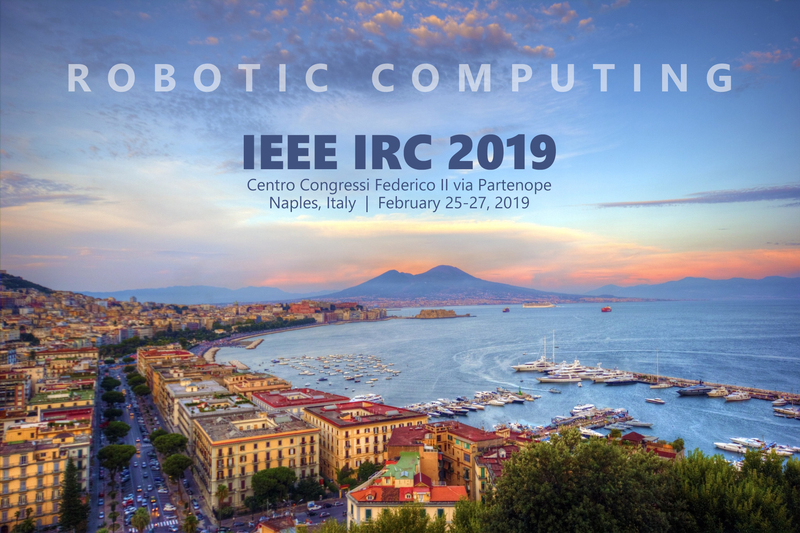 The Third IEEE International Conference on Robotic Computing (IEEE IRC 2019) will be held at the Naples, which is Naples, a city of art, takes the form of an amphitheater on the sea with Vesuvius, the coastal mountains and the islands of Capri, Ischia, and Procida, and Capo Miseno as its landmarks. Situated at the center of the Mediterranean, Napoli is the main town of the Campania Region and “capital” of Italy’s Mezzogiorno. Its history is well-known. The territory was first colonized in 900 BC, when “Anatolian and Achaean merchants and travellers arrived in the gulf on their way to the ore trading centres of the High Tyrrhene” and founded Partenopein the area which includes the isle of Megaride (the present-day Castel dell’Ovo) and the Monte Echia Promontory (the present-day Monte di Dio and Pizzofalcone). Later, after the wars, Partenope was abandoned and took the name of “Palepolis” (old city). In 475 AD the inhabitants of Cuma founded Neapolis (new city) to the east of the original city. In the last few years, Naples has become one of the favorite destinations for all those Italian and foreign tourists who love spending their holidays in cities of artistic interest. Unlike cities in which art is stored in museums and daily life happens on the streets, Naples’ distinctive mark is its folklore: people living and working among the artistic beauties of the city. Come and see Napoli; visit its monuments, the traces of many foreign dominations, the Greek townplan, the Roman ruins, the Medieval architectural heritage, its churches and castles. Enjoy its works of art, from Renaissance to modern times. Napoli has been a Spanish city and a Counter-Reform city; it has been the capital city of a kingdom. You will find art treasures in its museums, such as Capodimonte, exhibiting some of the best European paintings. Visit the S. Carlo Opera House, one of the most ancient theaters in the world and the Royal Palace. Enjoy also its wonderful surroundings: the ancient ruins of Pompeii and Herculaneum, the Phlegrean Fields and the spectacular islands Capri, Procida, Ischia.